When it comes to travelling, I hardly plan. Most of the time, it’s just a planning before few moments and I am all packed with my stuff and leave for the place. As I shared my Kathmandu travelling with you previously which was nothing close to a “planned journey.” Everything happened there was totally unplanned. This time too I visited to a place with the same gesture. After cancelling our trip to Shimla, we decided for a Two Days Rishikesh Trip. A trip which was not properly planned, but this was turned out to be a “planned” one as we were a group and some basic things were structured before we left. We packed our bag. We got our clothes, power backup, camera, toiletries. And we left for our Two Days Rishikesh Trip. And that’s how the journey began. We were four, Tanuj, Bhupender, Rohan and I. Before leaving, we got our stuff packed. We left at 8PM and ahead to Rajouri Garden Metro Station. From there we were to go Kashmiri Gate Metro Station. It took us no less than half an hour to reach there and we walked to ISBT Kashmiri Gate. And from there, we were to board in a bus to Rishikesh. You will find many travel agents looking for travellers and they will sell you tickets. I had the travel bag on my shoulder so those guys came to know that our group was going to some tour. Thus they approached us. Tanuj was quite easy at handling them and asked for a fair deal for four. I was feeling damn hungry. 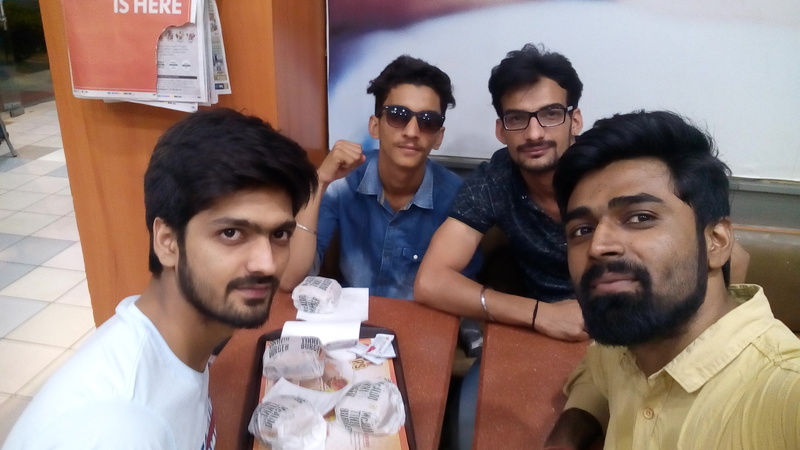 So first we visited a nearby MacD, the first meal I had before our Two Days Rishikesh Trip. The first step was to bargain over four tickets. So, Tanuj and Bhupender asked to some of those guys and it didn’t work out. We later moved to a nearby dhaba to have dinner. After dinner, we boarded a bus straight to Rishikesh. Per head ticket charge from ISBT Kashmiri Gate to Rishikesh was 255 INR. 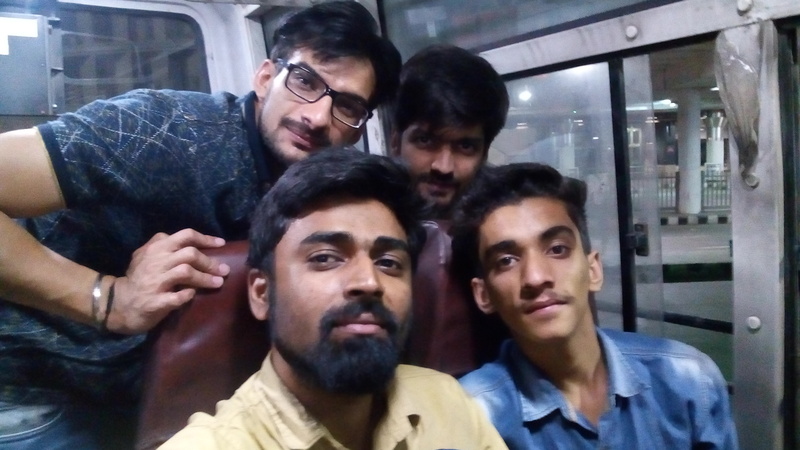 The conductor told that journey would be of some six hours and we would reach Rishikesh by 5AM in the morning. So, we occupied our seats in the bus and left ISBT at 10:30PM. The journey was both tiring and exciting. Exciting because I was going there for first time and tiring as it would take around six hours to reach. Fortunately the seats were spacious otherwise I face trouble in long journey due to congested seats. So this was a good thing for me. I don’t remember the places on the way as it was all dark. The bus stopped at a roadside dhaba. And that was the first stop in some four hours long continuous journey. Tanuj bought some snacks from there to munch on the way. The bus might have stayed there for around half an hour (if I’m not wrong). After the halt, the bus drove off towards our destination. On the way, we talked and we slept. Tanuj continued playing game on his phone (Chief, our village is in danger). And I don’t remember much what we did on the way. The only thing I remember I slept holding, hugging the bag. And when I opened my eyes, we were about to reach Rishikesh.